If you're new to this Linky, here's a quick explanation: Each Tuesday I am going to highlight a different small business that I have used personally AND why I love them! 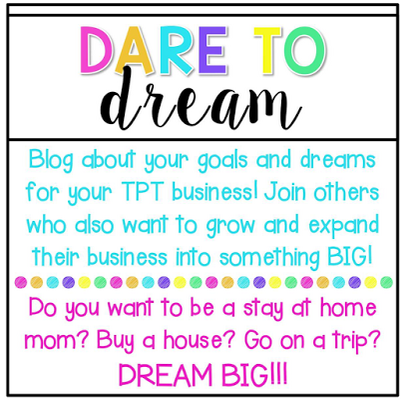 It might be a TpT store, it might be an Etsy store...maybe it will be a local store near me! Who knows?! I just want to shine some light on some of my favorite small businesses, and I am hoping you all will want to do the same! I love that technology has allowed us to have these small businesses, and there is no better feeling than buying something from someone who is also a teacher, or a stay-at-home mom, or a rookie artist! I would rather give my money to these amazing people than a big business! 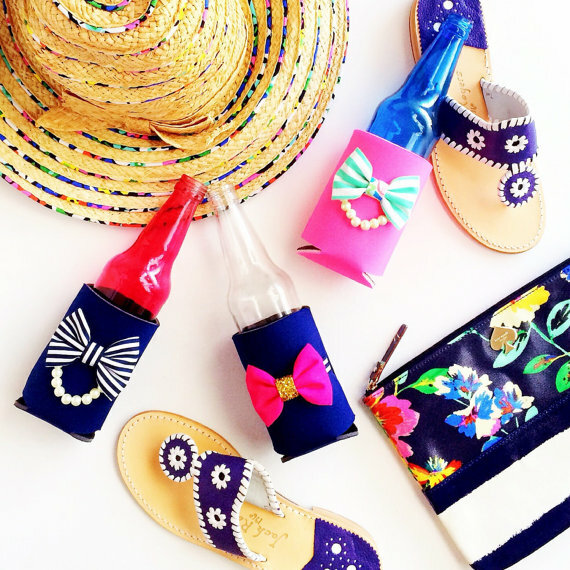 Kaitlin sells so many different things like koozies, art prints, hair ties, and bracelets (and even more!). My personal favorite are her bow bracelets! I have two of them so far and I just LOVE them! 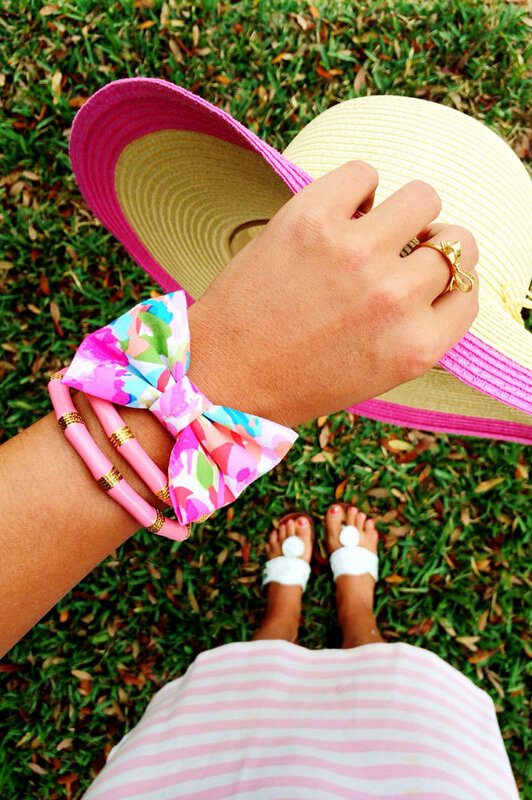 These bow bracelets literally arrive to your door looking just as they do in the photos! They are amazing! 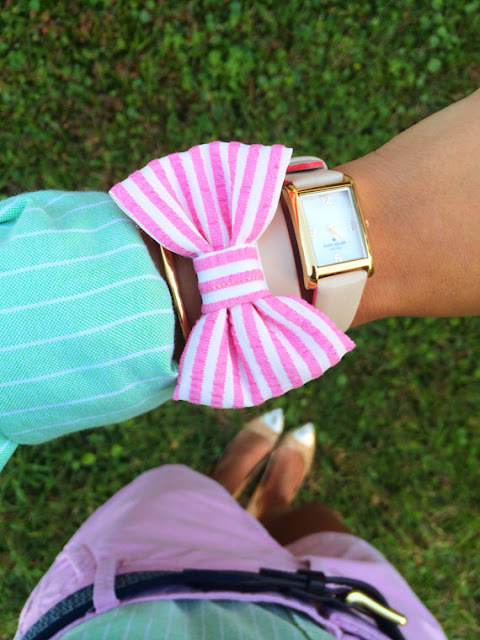 I have a chambray one and a hot pink gingham one, both of which I am obsessed with. 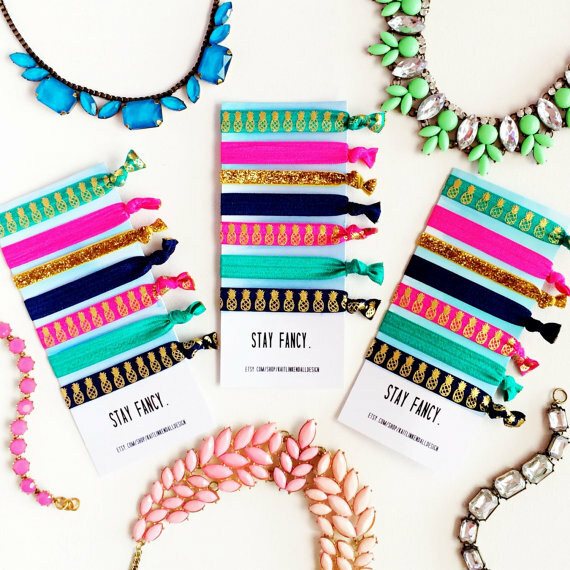 If you follow me on instagram (@littlelovelyleaders) than you probably already know that I wear them TOO often! 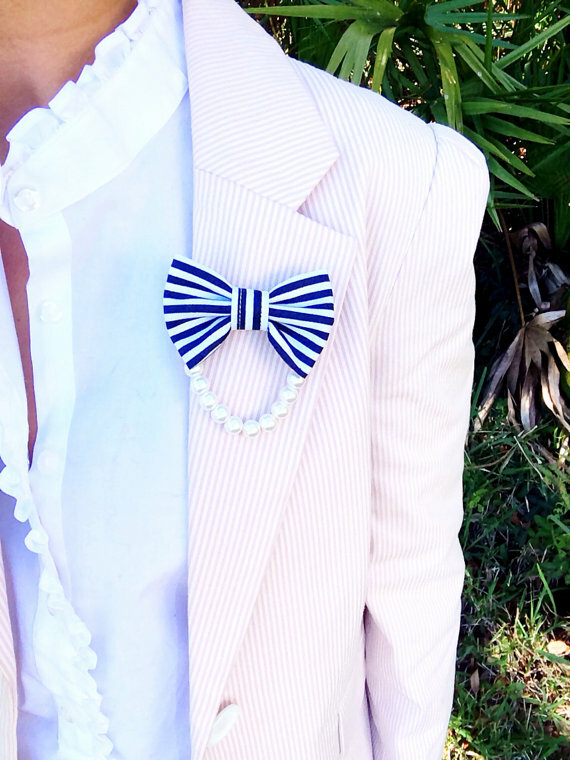 I am almost never without a bow :) I mean, c'mon, I can wear that chambray one anytime I want! It goes with everything! I don't know...as I look at this photos again, I think I really want that pearls & bow bin....!!!!! What should I do?! I could pin that to just about anything and it would look amazing! If you are lovin' on insta lately, like I have been with all of my free time this summer, follow Kaitlin Kendell Designs by following @katiebowhead on instagram. Trust me, you won't regret getting to see her product photos once in a while! They are all amazingly cute! I would love for you to share your favorite small businesses each week with us! 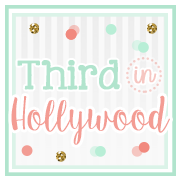 If you'd like to blog about one and join our linky party, please do! We'd love for you to join! Just be sure to grab the linky image at the top of this blog post and post it on yours, as well. Also, grab my button so that you can link your followers back to this page if they want to see everyone else's link ups! It will be kind of like going shopping because we will get to check out all of these new small businesses everyone loves! So just create your blog post and then come back here and click the blue "add your link" button below to add your post to the linky party! :) Yay! Be sure to leave the link that goes directly to that specific blog post. Week 2 of the TpT seller challenge! So...here I go...unloading all of my hopes and dreams on to you and trying to type with my fingers crossed so that they all come true! I am a little nervous though...don't they say that if you say your dreams and wishes out loud then they won't come true? ;) haha! First on the list, FAMILY :) Of course! I moved back to South Florida last year just for these folks! I love my family, and I could spend every minute with them! My husband and I are always finding time to be with family. We love it! We don't have any kids of our own yet, and hopefully we are blessed enough to have that for ourselves in the future; however, we love love love being with our family. We just had his parents in town this past weekend, which was wonderful because we don't get to see them as much. In addition to that, I have three sisters, two brothers-in-law, and two nieces. We are actually all meeting up in the North Carolina mountains this coming week to spend time together as a family! I can't wait! Everyone, one house, and no one is going to work! Yay! Gotta love putting family first! Second: Aren't there always improvements to be made in our TpT stores? I feel like there is just ALWAYS something on my list of things to do for the store. I can't keep up! Hopefully, one day, I will fee caught up! Hey...we are allowed to DREAM right now, right? Third: The Teacher's Life Binder is a major passion of mine. I just always want to make it the best it can be. Each year I update it and then the next year, I write down things I want to do for the future! There is always another way to make it better! I just want to make teachers' lives as easy and organized as possible so that they can have time for all of the other stuff they need to do! 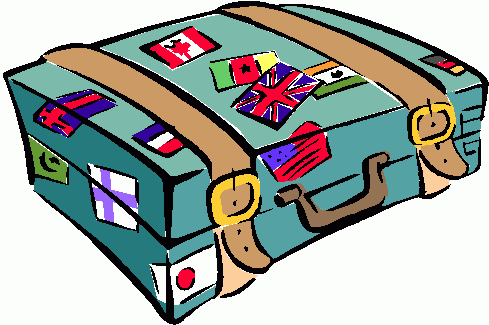 Last, but DEFINITELY not least: Traveling! I am lucky enough to have already traveled much of the world; however, there are always new places and new memories to be made. I put this last because I want to save it for when I can travel with my kids when they are a bit older (and I mean...I haven't had any yet so here's to dreaming!). I really felt like traveling as a kid allowed me to gain insight into parts of the world a lot of people don't get to see. I grew up with tolerance and love for people of all races and religions because my parents took us around to new places all of the time! I feel like it helped me with geography as a kid, too ;) haha! If you are interested in what other amazing teachers have done with this week's challenge, head over to one of the host blogs below to check out the linky party! Hey y'all! 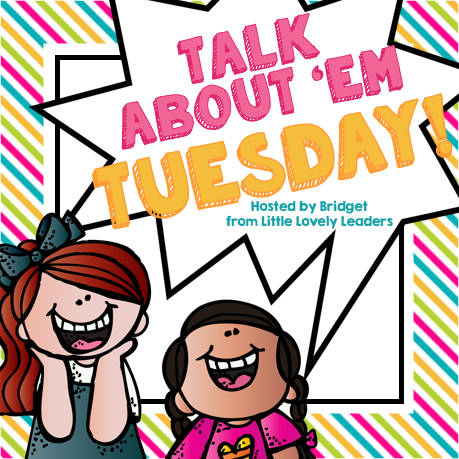 Welcome to the first ever week of "Talk About 'Em Tuesday!" Each Tuesday I am going to highlight a different small business that I have used personally AND why I love them! 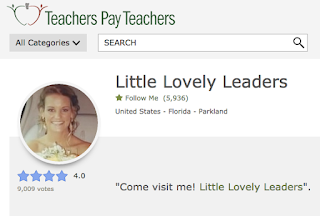 It might be a TpT store, it might be an Etsy store...maybe it will be a local store near me! Who knows?! I just want to shine some light on some of my favorite small businesses, and I am hoping you all will want to do the same! I love that technology has allowed us to have these small businesses, and there is no better feeling than buying something from someone who is also a teacher, or a stay-at-home mom, or a rookie artist! I would rather give my money to these amazing people than a big business! This shop is family run and especially unique. This particular shop is special to me because I used their graphics for two of my Teacher's Life Binders! Every single image downloads perfectly! They do not get blurry when you shrink or enlarge the graphics. The backgrounds go perfectly with any fonts and designs. I love their color combinations and their themed packs! 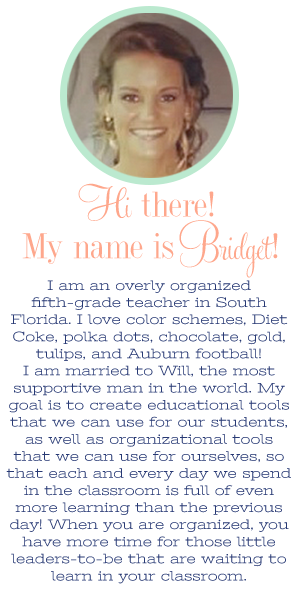 You can see some of her images below in the background of the Teacher's Life Binder from this year. Each flower and leaf is an individual piece of clip art. They were so fun to play around with and place on the page because they are all so beautiful! 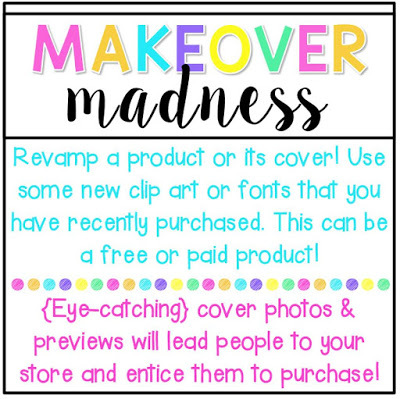 Create the Cut is one my favorite Etsy shops! Everything they design is beautiful in its own way. They are each unique and make my happy by just looking at them! I loooooove them! Think of all of the pretty things you can make when clip art is THIS PRETTY! I have accepted the challenge! Ah! I am so glad to be a part of this challenge because it will hold me accountable for something this month! I feel like it is sooo easy for us to get off track in the summer...well, I should only speak for myself...some of you might be really productive! I seem to get really excited about my pool...my pets...my family...eating out...shopping...the beach...hahaha and the list can go on! 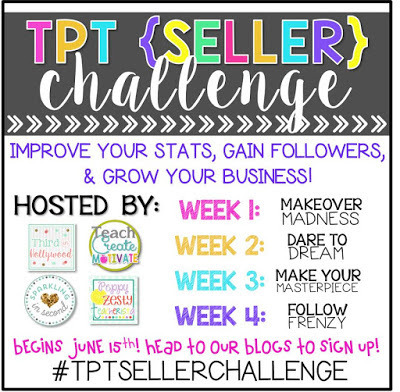 I am really glad to have something to keep my productivity going...so I have joined the TpT Seller Challenge! 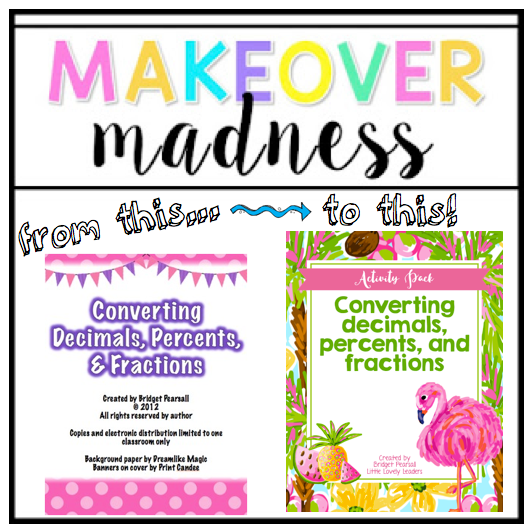 I have chosen to freshen up my Converting Decimals, Percents, and Fractions Activities Pack! (Click Here!) I am super excited about the fresh look it has now! Yay! I also edited the pages inside of this pack so that they all go with the look of the cover :) Yay! I can't wait to print this pack and replace my activity bins with the fresher looking version! If you've already purchased this pack, be sure to go redownload it so that you can also have the new look! 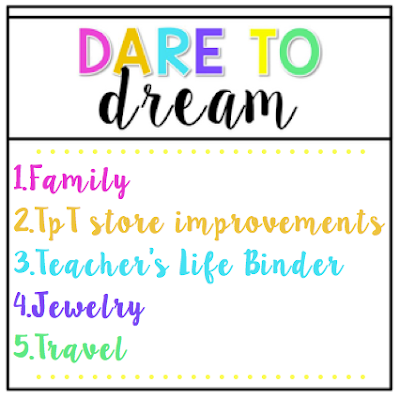 If you have not purchased this and are interested, click here to see it on TpT or click here to view my blog post about the pack!